AFL: Two of the AFL's rising talents have made their way to Lockyer Valley this week, hoping to boost the profile of aussie rules in the rugby- mad region. 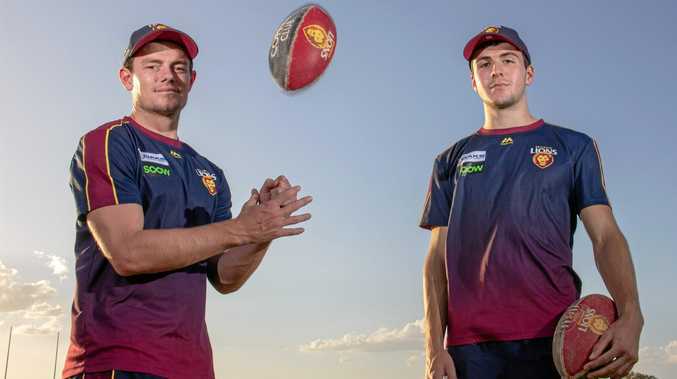 Brisbane Lions players Lachie Neale and James Madden spent Monday and Tuesday in the region as part of the AFL Community Camps program. The pair visited schools in the Gatton and Laidley area and hosted a clinic for youngsters at Cahill Park. Lions players spent the week trekking around the state to encourage youngsters to give the game a try. 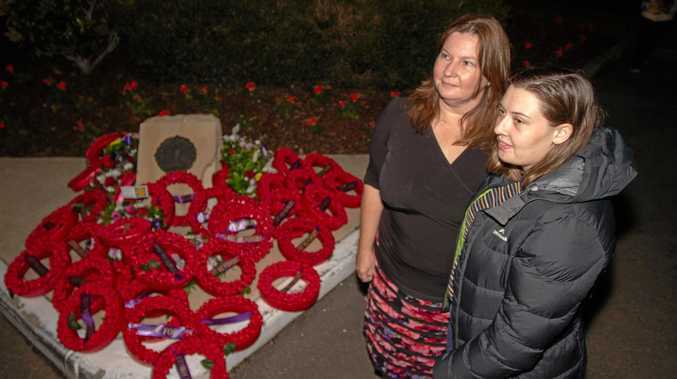 Neale said the events were an important way of connecting with the community. "It's a fantastic opportunity for all of the Brisbane Lions players to come out and get involved and interact with some of the kids,” Neale said. With Gatton a little further than the pair was used to travelling, he said it was a good opportunity to build AFL's presence in the region. "To come out and experience out here and get the kids to experience some AFL - it's great exposure for everyone,” he said. The response from the children with whom the pair had spent time had been very positive, Neale said. "The kids have been fantastic,” he said. Neale said getting kids involved with the game at a grassroots level was a valuable part of the AFL's community engagement. "It's something I think the AFL does really well and hopefully it brings more kids into the game, especially in Queensland,” he said. 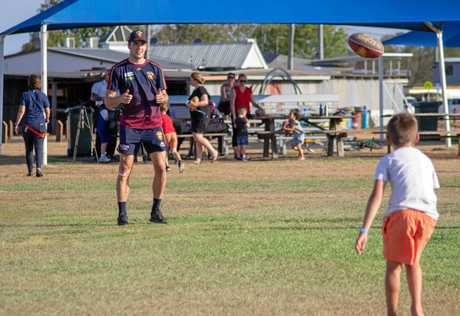 Darling Downs AFL Queensland regional manager Jeff Neumann said it was exciting to bring the Brisbane Lions to the local fans in Gatton. "AFL Community Camps are the perfect platform for fans, no matter where they live, to access the game and their favourite players,” Neumann said. "AFL Community Camps are an important way for us to encourage younger players to get involved in our game. Neale and Madden were also on hand to help Lockyer Valley Regional Council announce a new facility at Cahill Park. In a major boost for sport in the region, Cahill Park will soon sport a female-friendly amenities and change room, all thanks to a Queensland Government grant. Lockyer Valley Regional Council has secured a $500,000 grant through the Female Facilities Program, offered through the State Government's Get in the Game program, to see the facility brought to life. Lockyer Valley Regional Council Mayor Tanya Milligan said residents could look forward to an all-purpose facility. The planned building will feature two change rooms with toilet and shower facilities, public toilets, a store area for sporting equipment and a covered viewing deck. Cr Milligan said female participation in sports was vital. "We are committed to increasing the number of women and girls participating in sport and active recreation, and for this to happen the infrastructure we offer must be both welcoming and inclusive,” Cr Milligan said. The building will provide the necessary amenities for the multiple sporting teams who use the complex, such as AFL, cricket, netball, touch football and rugby league. The change room areas will be built to allow one open room for sporting clubs to host meetings and administrative training sessions. The project is in the final design stage and due to go to tender in March, with construction of the new facility expected to begin in the middle of 2019.